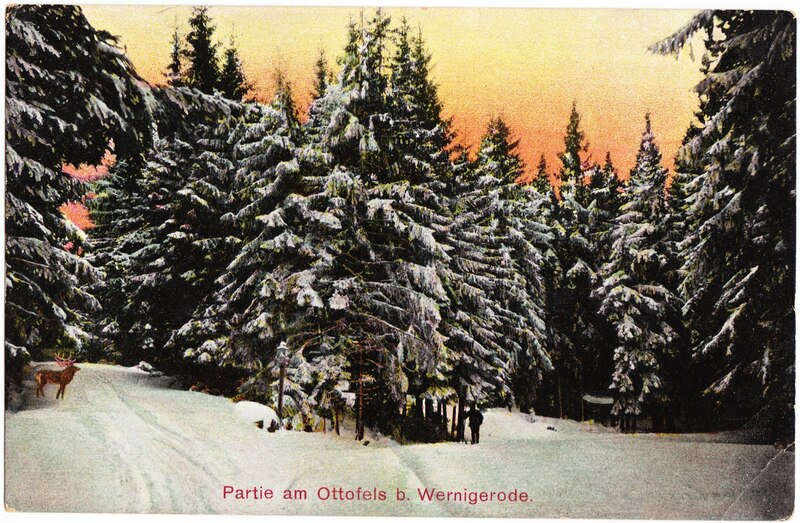 This undated vintage postcard (or postkarte) doesn't exactly fall into this month's category of Christmas Posts, but I think it fits nicely into the season all the same, with its serene forest and snow-covered evergreens. That translates, roughly, to "Excursion to Otto Rock near Wernigerode." 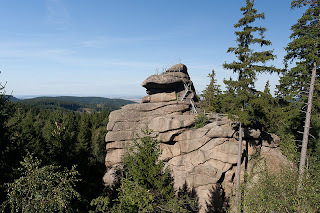 The Ottofels (Otto Rock) is a rock outcrop and national monument near the scenic mountain town of Wernigerode in central Germany. Otto Rock, made of granite, is about 1900 feet above sea level and towers 118 feet. 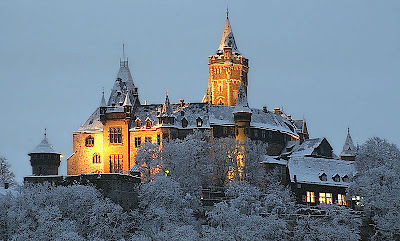 A series of ladders (which you can see in the Wikipedia photo at right) allows for public access to the very top of the formation, which is named after Prince Otto of Stolberg-Wernigerode (no relation).